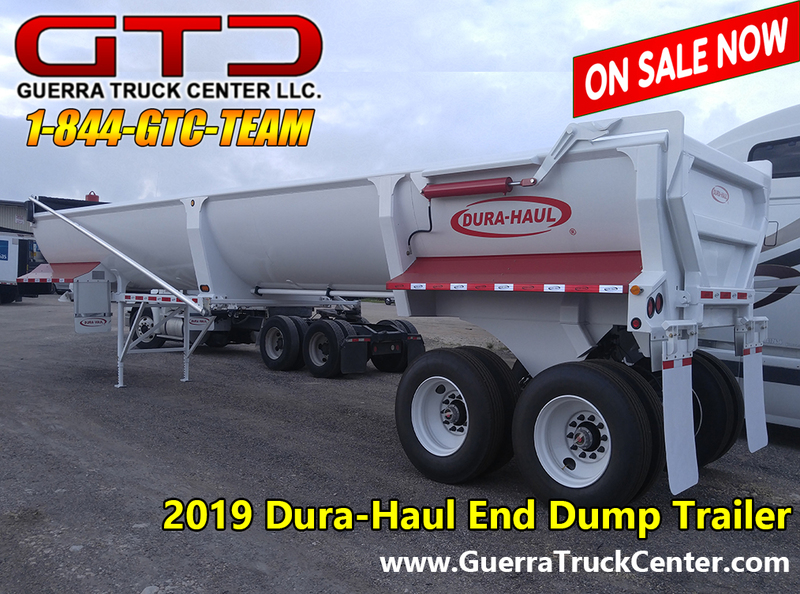 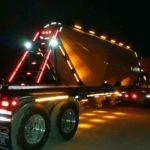 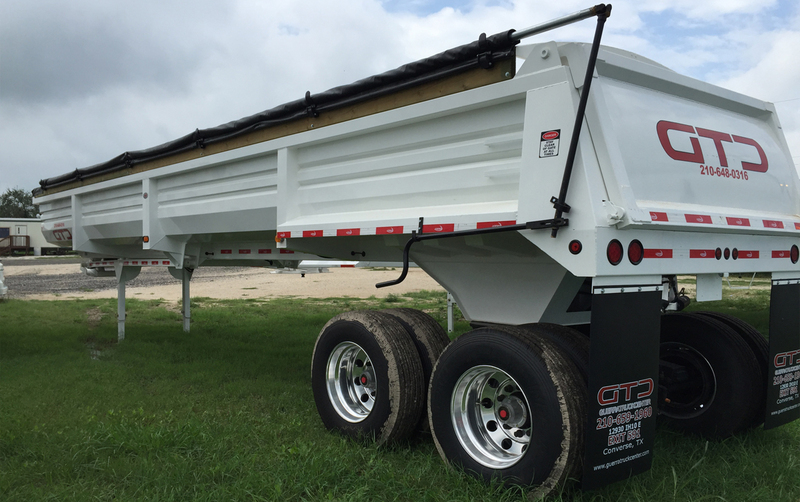 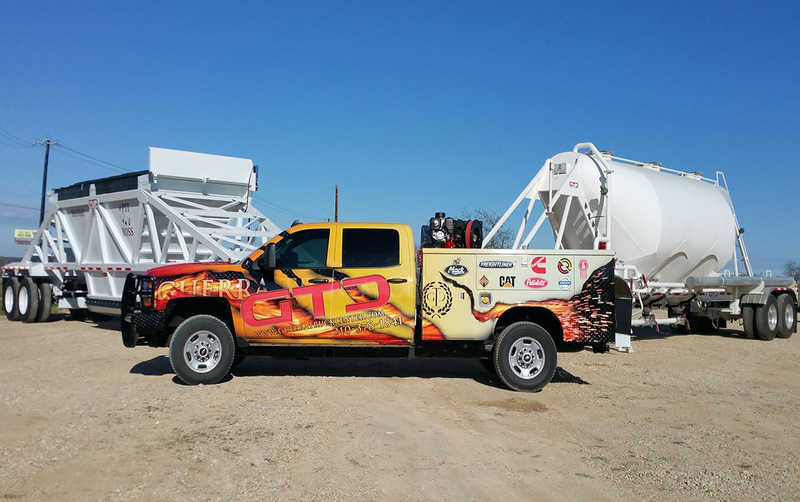 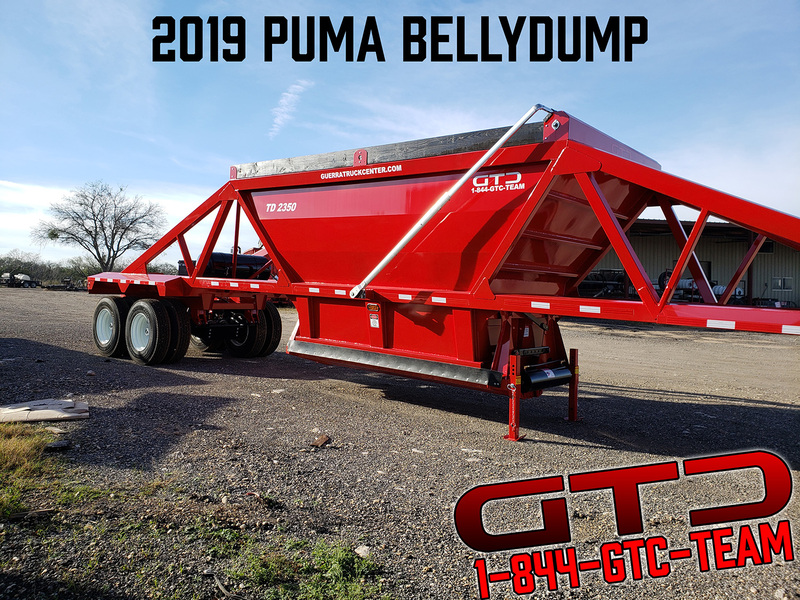 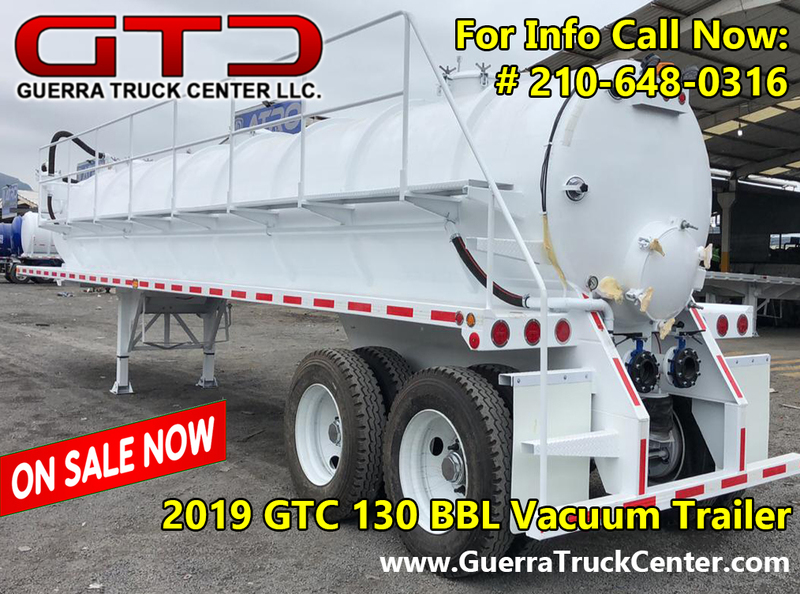 Brand New 2019 GTC Steel Vacuum Trailer for Sale: 130 bbl Shell A36 Ga 1/4″ Rolled Rings External Tandem axles (30,000lbs) with 77 1/2 track HT-300 Air ride suspension ABS Brake System Call for Price Call Guerra Truck Center Now at 210-648-0316 for more details and Financing Options!!! 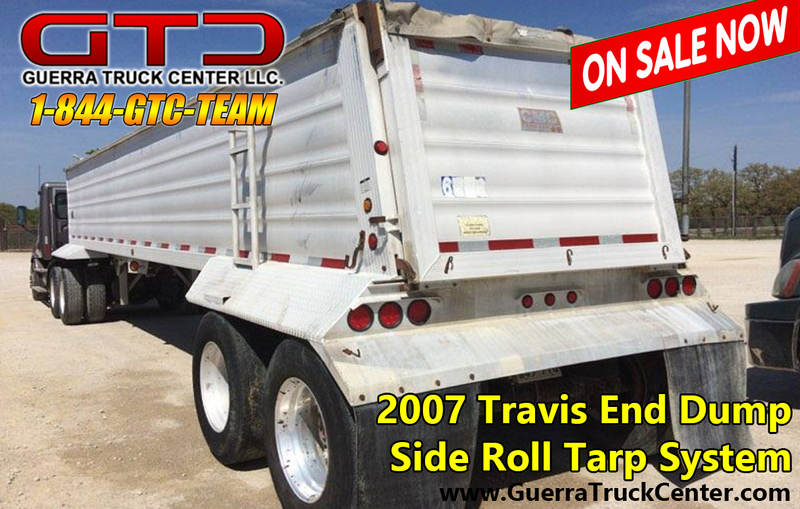 2005 Travis End Dump for Sale: 1 Left 9′ Aluminum End Dump Side Roll Tarp System Air Ride Suspension Tandem Axle Aluminum Composition and Floor Call Guerra Truck Center Now at 210-648-0316 for more details and Financing Options!!! 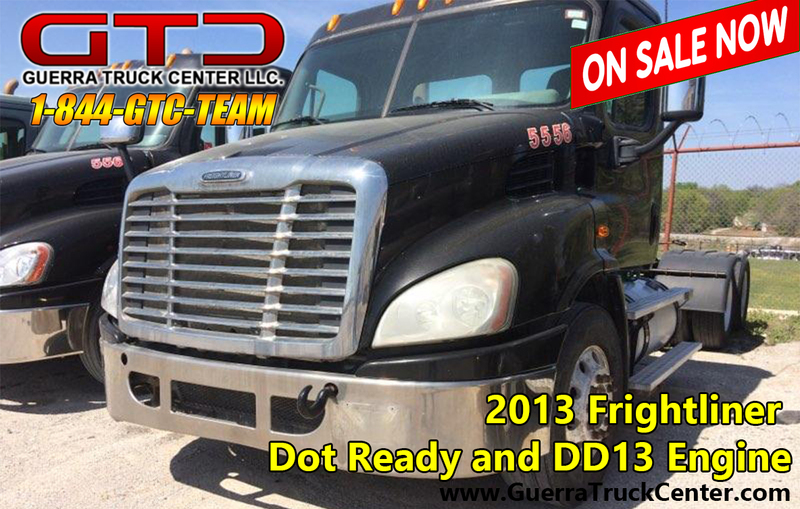 2013 Freightliner for Sale: 3 Available! 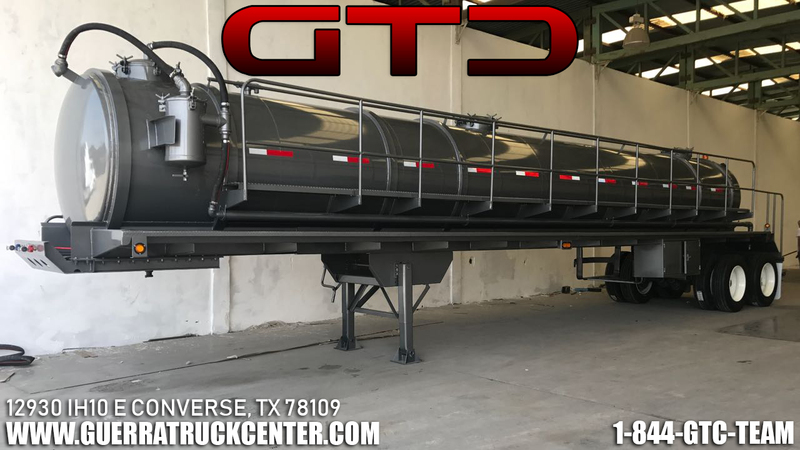 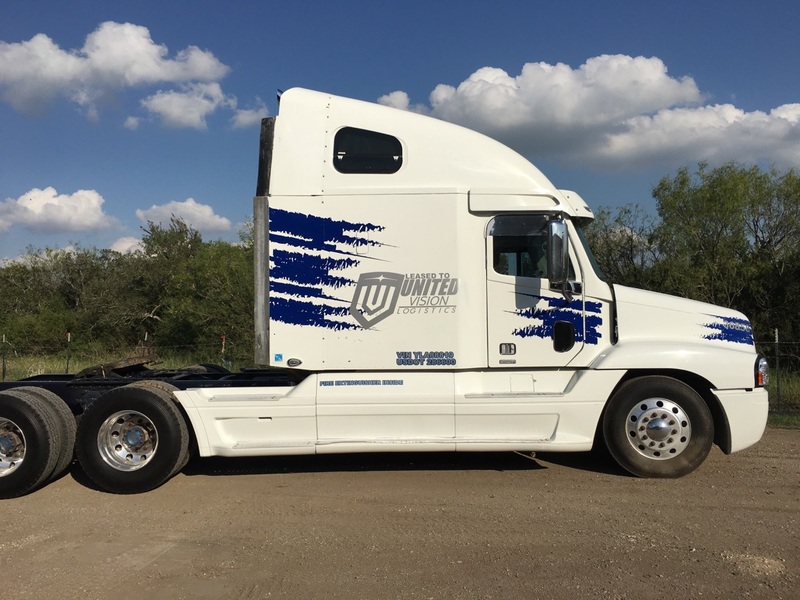 DD13 Engine 10 Speed Transmission with Wet Kit Day Cab Outside Aluminum Wheels Dot Ready Premium Warranty Available Call Guerra Truck Center Now at 210-648-0316 for more details and Financing Options!!! 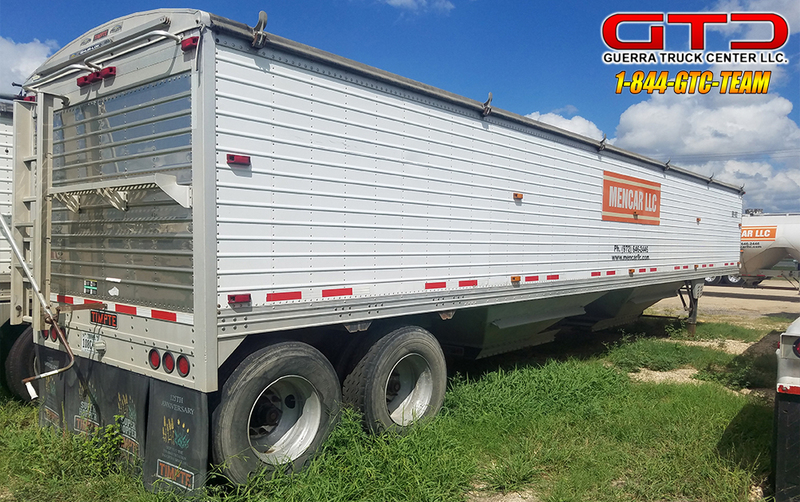 Fruehauf Flatbed for Sale: 48 ft Hybrid Flatbed Fixed Spread Axle 25,000 lbs Load Capacity 10,429 lbs Hendrickson Suspension Bendix ABS Brake System Holand Atlas Landing Gear 11r22.5 Tires Hard working and dependable! 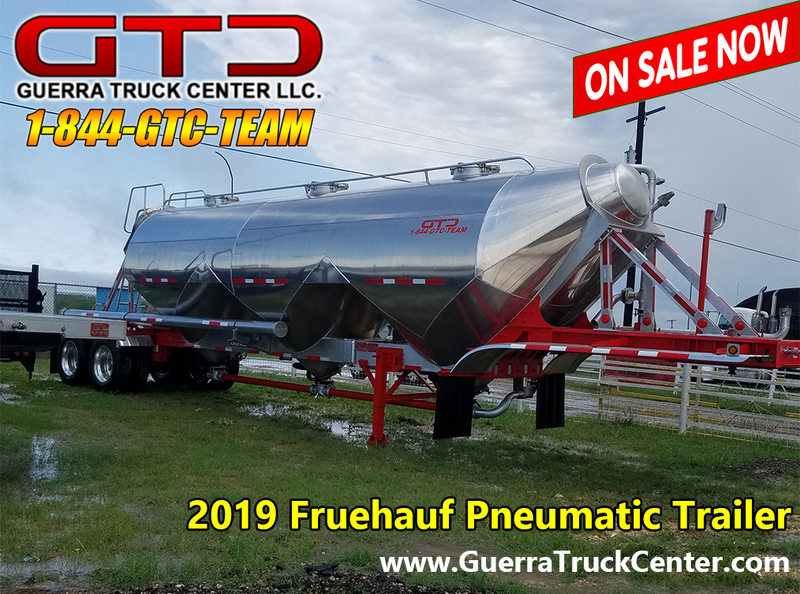 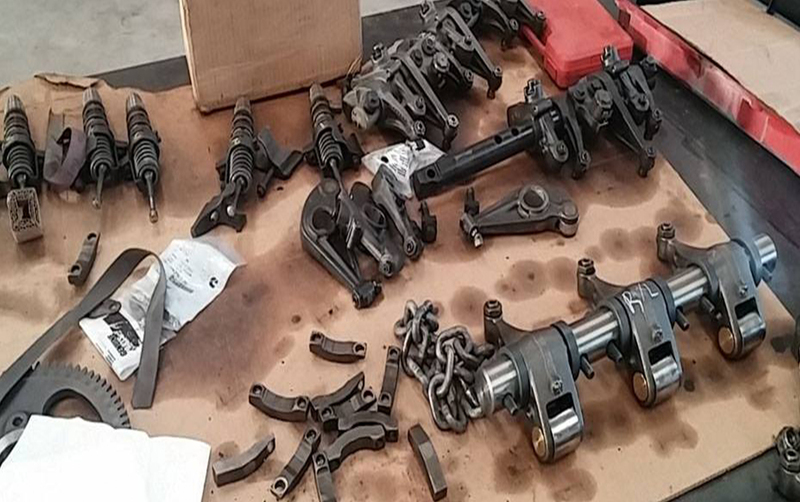 Call Guerra Truck Center Now at 210-648-0316 for more details and pricing!!! 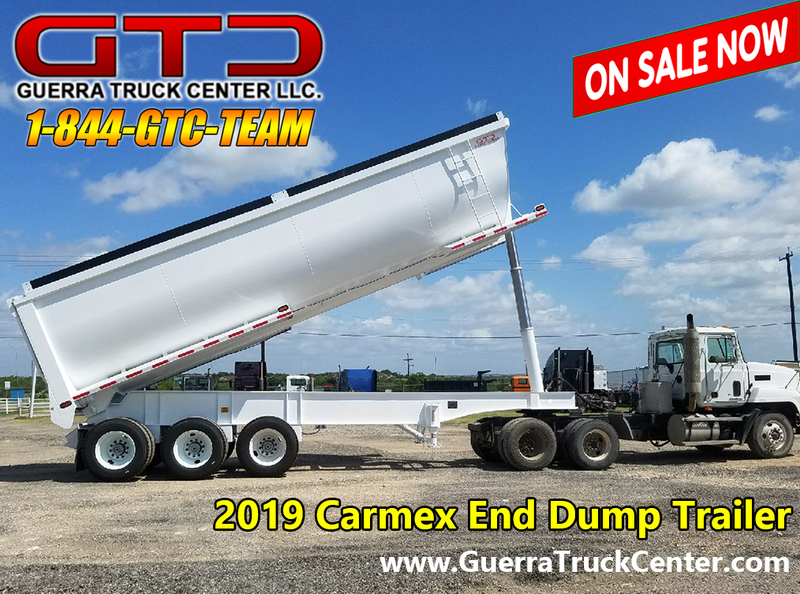 2019 Carmex Half Round for Sale: 32 ft Half Round End Dump 27.5 Cubic Yards Capacity 13,500 lbs 1/4 Hardox Steel with 3 Years Limited Warranty LED Light System 30+ Colors Hard working and dependable! 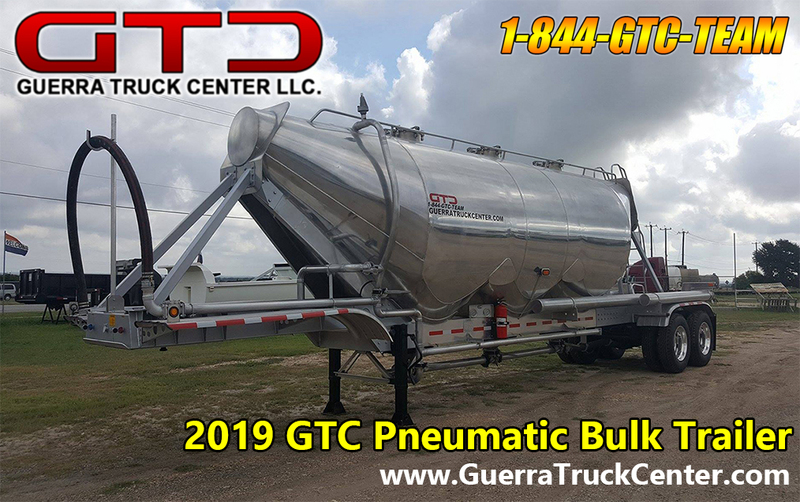 Call Guerra Truck Center Now at 210-648-0316 for more details and pricing!!! 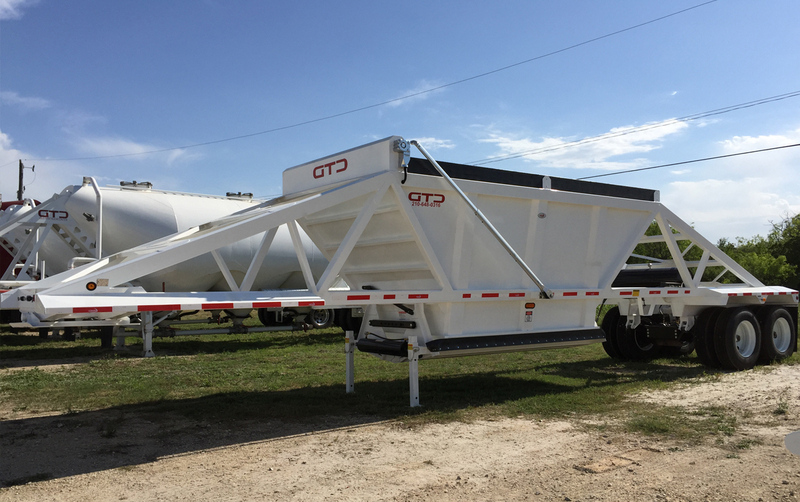 Timpte Super Grain Hopper for Sale: Starting at $28,500 1997-2014 Air ride 50 Ft. Model 24.5 Tires Aluminum Rims Lightweight Hard working and dependable! 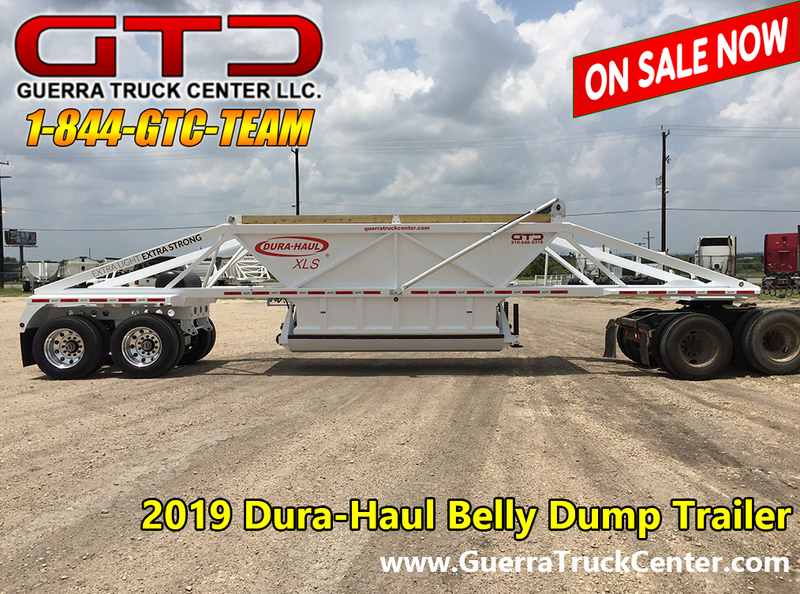 Call Guerra Truck Center Now at 210-648-0316 for more details and pricing!!! 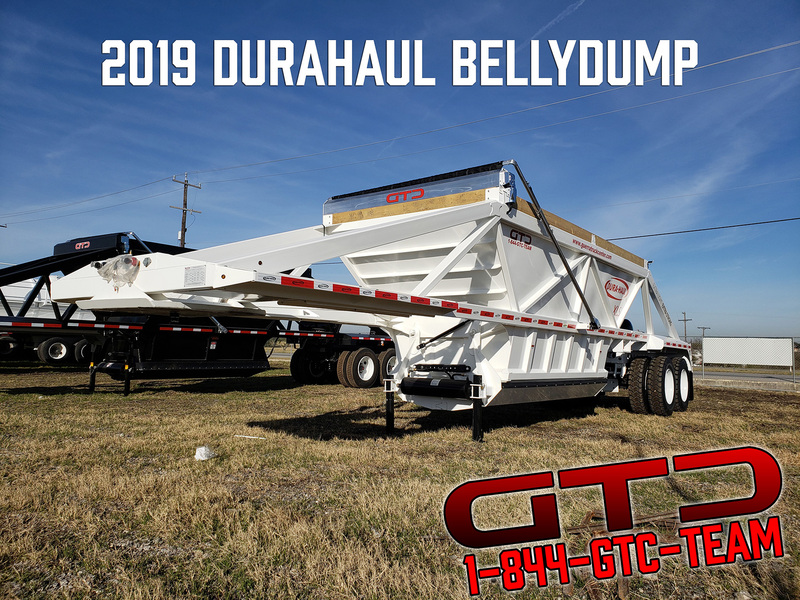 2019 Dura-Haul Belly Dump (Bottom Dump) for Sale: Mod 2017 SKELETON Ultra Light Unit WEIGHTS ONLY 12,150 LBS Electric Tarp Steel Wheels (Aluminum Wheels add only $1500.00) White color available (Special color on request) $31,900 Call Guerra Truck Center Now at 210-648-0316 for more details and Financing Options!!! 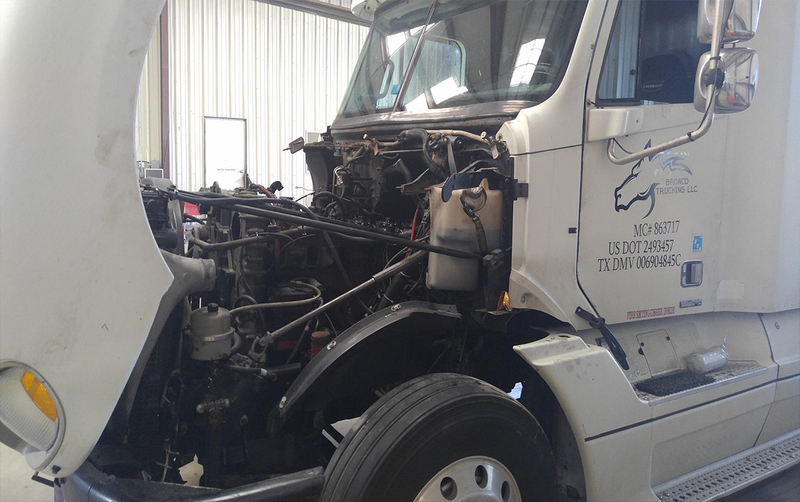 Our Diesel Diagnostics Service helps prevent costly repairs! 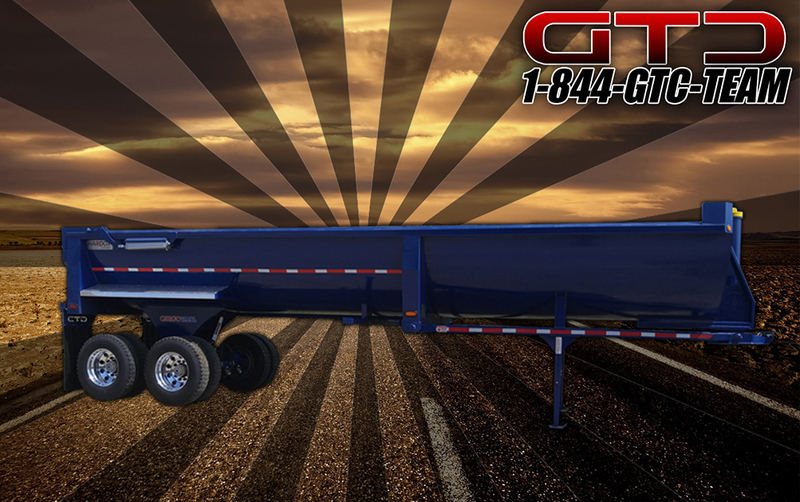 Our certified Technicians are experienced and do the job right! 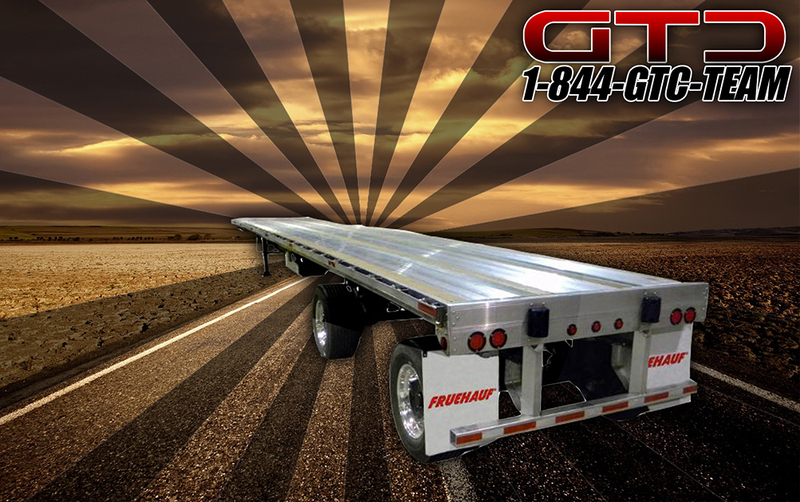 Heavy-Duty Truck or Trailer Roadside Service! 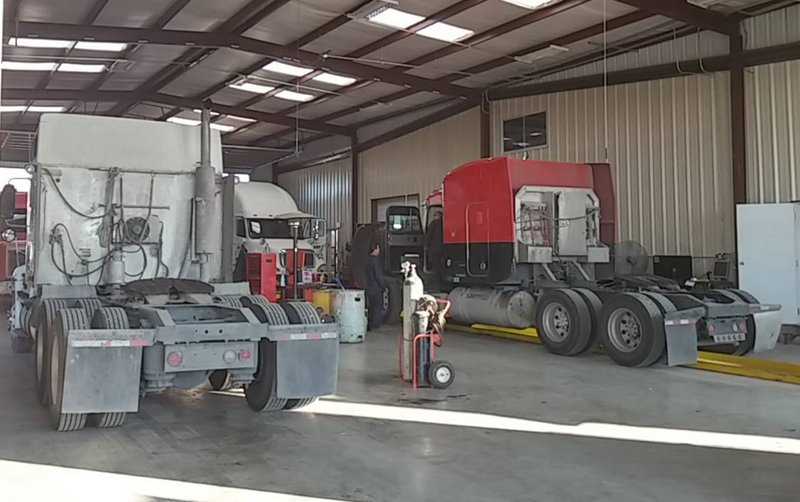 We also offer Fleet Maintenance at YOUR business location ANYWHERE in Texas, for a great hourly rate! 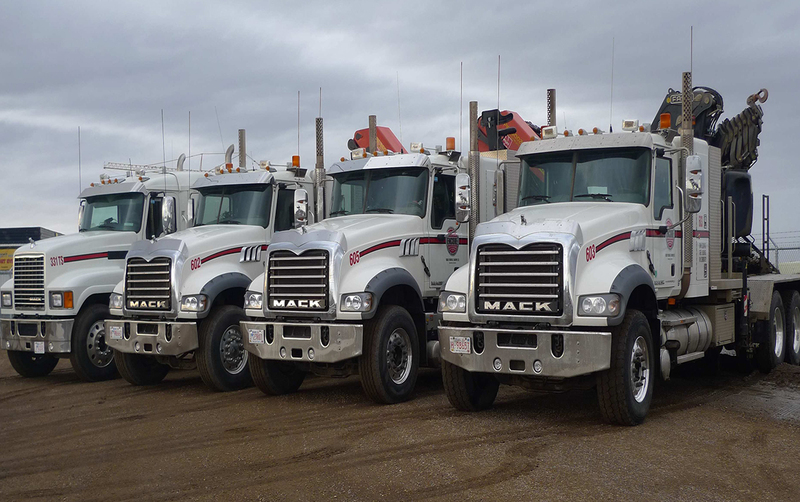 Our Mechanic Leasing program is a great alternative for temporary Mechanic personnel replacement!